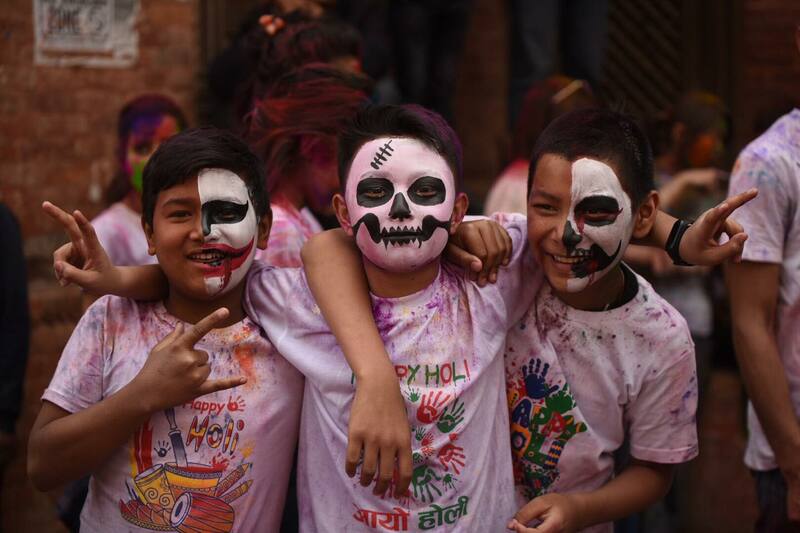 Phagu Purnima or Holi, the festival of colours, was celebrated with much fanfare in the Capital and other parts of the hilly region on Wednesday. 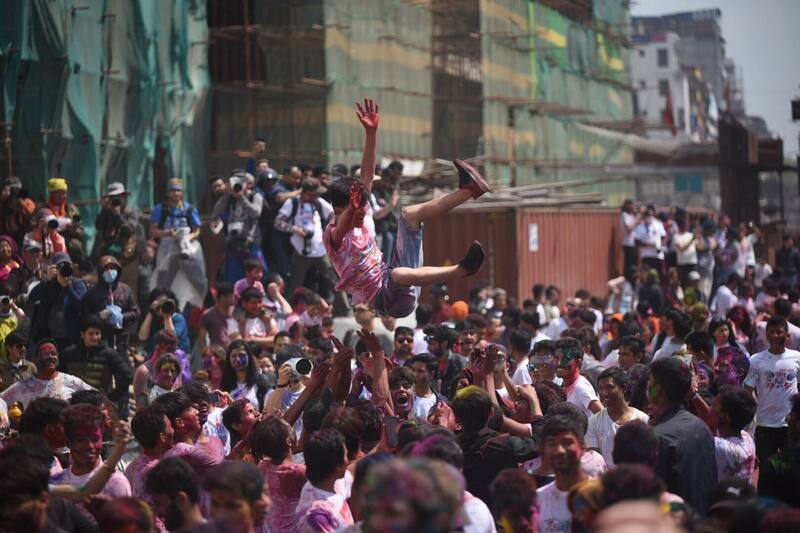 The festival is generally celebrated by smearing abeer (red vermilion powder) and throwing colour and water-filled balloons at each other. 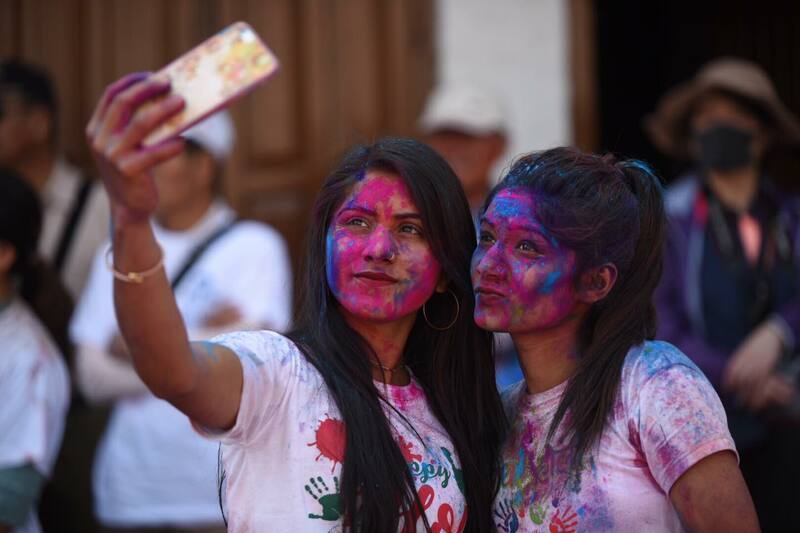 Holi revellers gathered at different places since early morning to mark the festival by applying colours on each other. 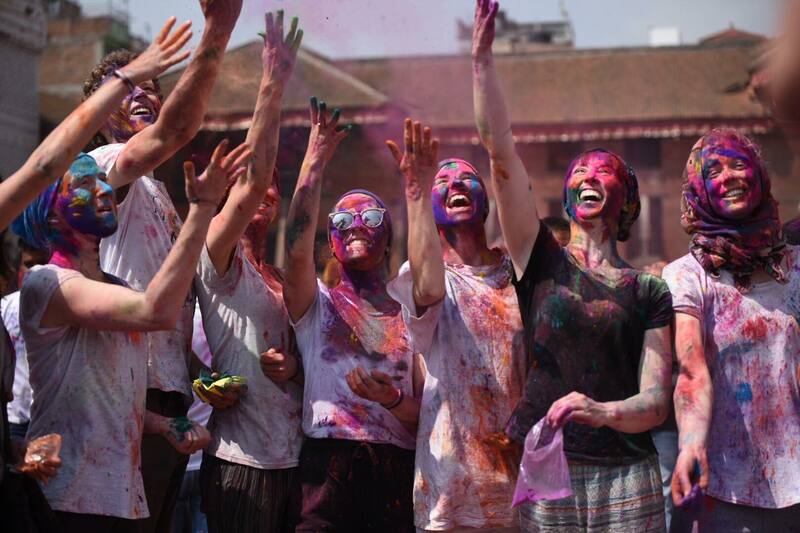 Many foreign tourists in various places of the Kathmandu Valley were also seen joining the celebrations with Nepalis. Security personnel in large numbers were deployed at major thoroughfares of the Valley to prevent untoward incidents. 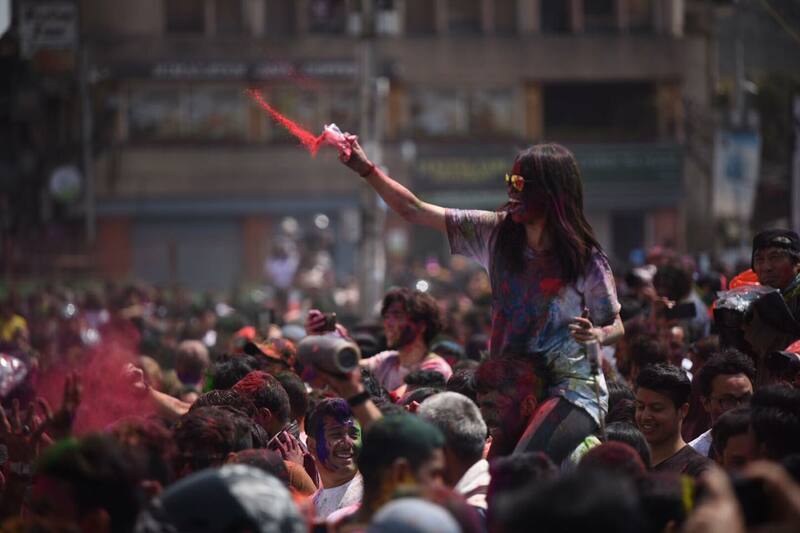 According to Nepal Police official website, 84 people were arrested from various parts of the Capital for their alleged involvement in activities like smearing colours forcefully, throwing water balloons and disturbing pedestrians. 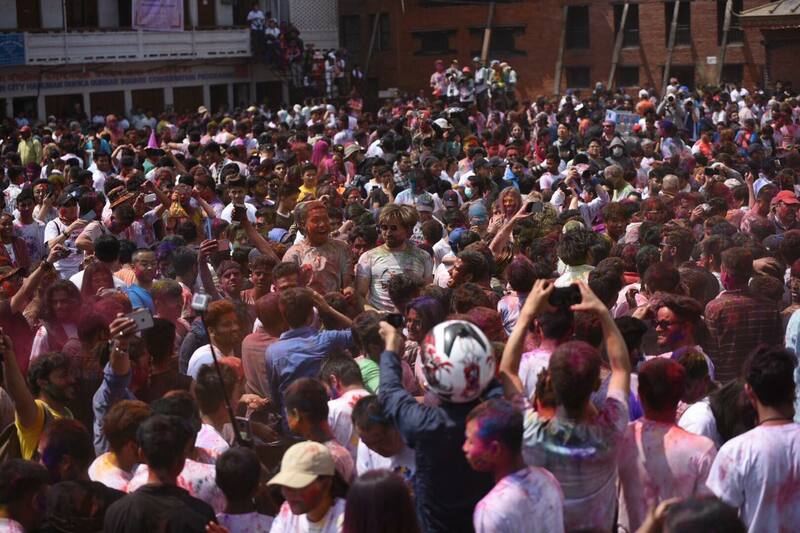 Around 45 people—one woman and 44 men—were arrested from Kathmandu, 35 men from Lalitpur and four men from Bhaktapur. Similarly, a police team deployed from the Metropolitan Traffic Police Division impounded 515 motorbikes and four vehicles for traffic rules violation. Likewise, a police team deputed from the Metropolitan Police Range, Bhaktapur has taken 17 motorbikes under control.